Libraries / Universities / Colleges / Institutes / Board Members / Reviewers, etc. can subscribe the IJPTT journal hard copies for their academic purpose in annual basis. 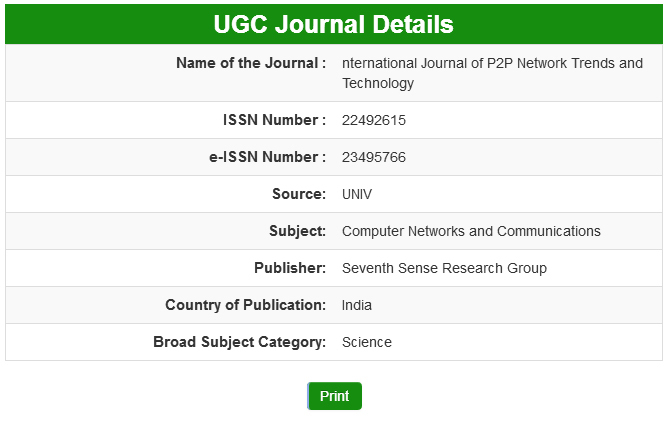 Mention in the subject column as " Hard copy Annual Subscription"
Copyright © 2019 IJPTT - International Journal of P2P Network Trends and Technology,Published by Seventh Sense Research Group. All Rights Reserved.